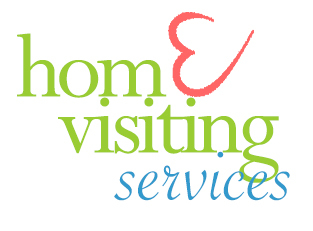 Home Visiting Services (HVS) has had the pleasure of working with some excellent foster parents (officially called Resource Caregivers by CWS) through the years. It seems lately that the caregivers being recruited and trained in the community are surpassing the highest standards set in the past. One highly skilled and dedicated foster family associated with a private university organization in the community was able to recruit several others in the organization and thus not only ease the shortfall of foster families, but also raise the quality. One of those recruited families is a young couple with no children of their own. This couple accepted into their home two brothers ages 2 and 3, but felt they had to decline the boys’ newborn sister due to their inexperience. However, after just a couple of short weeks, they were able to confidently accept the infant sister as well. The two older children were traumatized and nonverbal when they were placed, but they have thrived in the care of their foster parents. The foster parents are doing an unbelievable job with the children, proactively promoting their emotional adjustment and their physical and cognitive development. In their care, the children have discovered books, finding they love being read to. They are being provided imaginative play and musical experiences. They are eating the most nutritious foods the foster parents can prepare, and are being taken to play and educational activities outside the home. The older boys had very poor sleep initially, waking constantly during the night. After much patient intervention and support, the foster parents have been able to watch these children begin to sleep hours at a time. They also have the boys in a high quality preschool for part of the day and have seen the boys’ speech blossom. These extraordinary foster parents look forward to the possibility of adopting all three children if they cannot be reunified with their biological parents. We are honored to provide these families support, additional information and skill building, and referral to resources.